Located in the former convent of San Francesco, the museum houses an important collection of paintings, sculptures and sacred furnishings and vestments that bear testimony to the historical importance and artistic vitality of the area of Greve in Chianti. The convent of San Francesco, erected on a hill at the beginning of the old road to Montefioralle, was built during the first half of the 16th century for the Santa Croce friars of San Casciano. It was actually a Hospice that offered shelter to the Franciscans walking between Florence and Siena, as well as to the begging friars of the territory. Following the “suppression” campaign of 1866, the convent was abandoned by the Franciscans; it served as a prison until 1927 and later as living quarters. 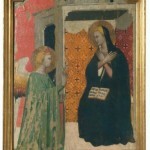 The museum was set up with an agreement between the Municipality of Greve in Chianti and the Diocese of Fiesole with the aim of housing the sacred works of art coming from the neighboring churches. 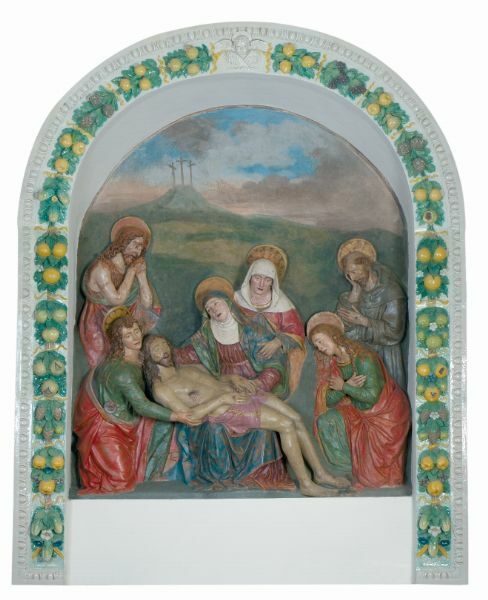 The visit starts in the oratory of San Francesco, where one can admire a splendid polychrome terracotta depicting the Mourning for Christ, attributed to Santi Buglioni. The work is framed by an arch of fruit and flower festoons in clear Della Robbia style, topped by a cherub. The 18th century frontal that adorns the altar below the Mourning is made of natural straw. On the sides of the altar are two 17th century paintings portraying St Peter. 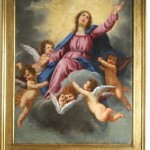 Two other paintings are located in the space below the presbytery, while on the entrance wall is a Madonna of the Rosary in late-mannerism style dated 1615 and signed by Francesco Boldrini. Opposite stands a large painting depicting the Apparition of Christ to a saint, supposedly St Alessio. 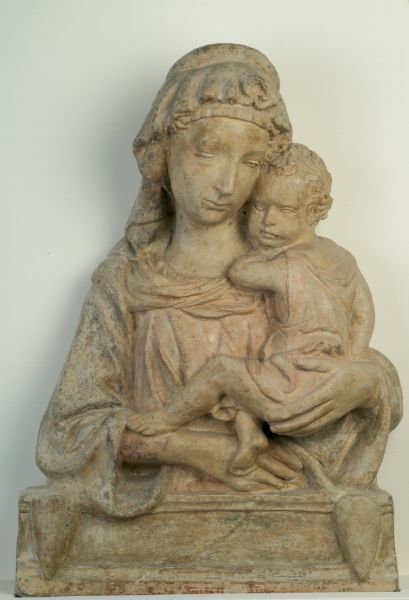 The oratory installation ends with a small group of sculptures, two of which – dating back to the first half of the 15th century – are of particular interest. 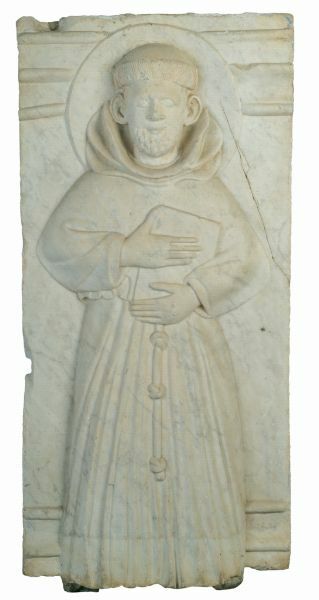 One is a marble bas-relief originally kept in the church of San Pietro in Sillano portraying St. Francis; the other is a stucco (which was originally painted) with Madonna and child, attributed to the Florentine sculptor Nanni di Bartolo. On the other side stands the third sculpture: a statuette reliquary in carved, painted wood (second half of the 17th century) of Madonna and child. The sacristy is dedicated to the fabric section with different kinds of paraments and vestments. 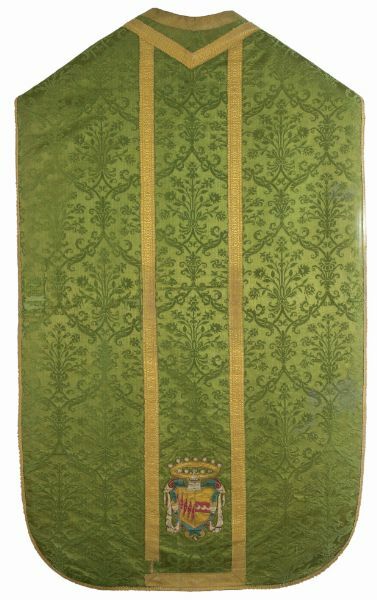 An interesting example of liturgical vestment is a chasuble in green damask bearing the coat of arms of the Bardi Strozzi family. On the wall opposite the entrance is a shoulder veil made of white silk and embroidered along all four sides with gold thread and multicolored silk; it bears in its center the Eucharistic monogram of San Bernardino – “IHS”. Other sacred vestments are preserved in the glass case in the corner, including the most ancient piece of the collection, a chasuble in brocatelle made between the end of the 16th and the beginning of the 17th centuries. The decorative motif of ogival cells enclosing a thistle is a typical Renaissance pattern. 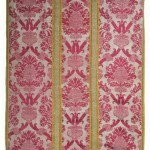 To its left is a 18th century chasuble in brocade lampas with a rich flower pattern against a white background; it bears the coat of arms of the Anichini family at the bottom. Two exceptional pieces are kept in this room: the Cross reliquary (14th century) in rock crystal originally kept in the church of Santo Stefano in Montefioralle, and a small stained-glass window (16th century) from the Gesuati friars workshop, depicting St Silvestre coming from the church of San Silvestro in Convertoie. The exhibition continues upstairs where the paintings have been collected. 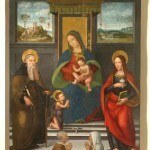 Three are of particular interest: an Annunciation of the 14th century; an altar piece by the young Francesco Granacci portraying the Madonna and Child with St Bartholomew and St Francis; and a painting of the Florentine school (16th century) depicting the Madonna and Child with St. Anthony the Abbot and St. Lucy; in the background of the painting is an accurate illustration of the Castello of Sezzate. 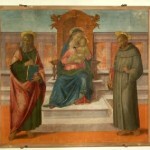 The room also contains paintings from the 17th century, such as Giovan Battista Giustammiani’s Image of St. Dominic Being Carried to Soriano by the Madonna, St. Mary Magdalen and St. Catherine; the Assumption of the Virgin Mary, first attributed to Jacopo Vignali, and later seen as closer to the style of Giovanni Montini; the Ascended Virgin with St. Lucy and St. Anthony of Padua by Francesco Curradi. The exhibition continues with works from the 18th century and even steps into the 19th century, with works such as Michele Gordigiani’s St. Rose. 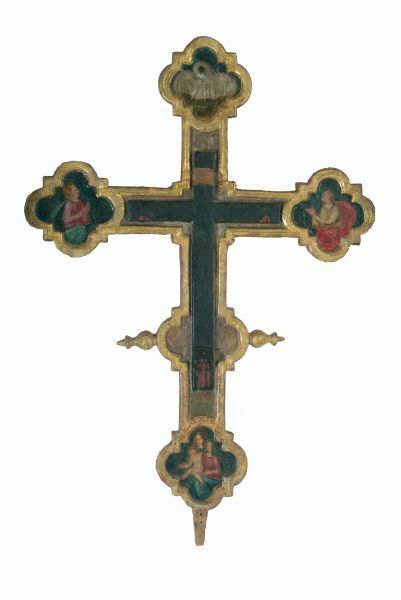 The goldsmith section presents various types of liturgical furnishings: in the niche to the right of the entrance stands a processional cross in painted wood originally kept in the church of San Silvestro in Convertoie, and dating back to the end of 16th or the first half of the 17th century. Next to the cross one can see a bronze bell from the church of Santa Maria in Vicchiomaggio bearing an inscription in Gothic characters dedicated to the Virgin Mary and dated 1312. 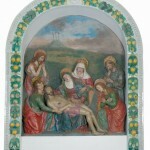 In the centre of the room have been grouped various objects from different periods, such as a small ivory case for particles from the Embriachi workshop (end of the 14th century), depicting the Virgin Mary with St. John the Baptist on the sides of the Cross. 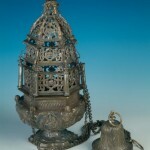 Worth admiring is the 15th century thurible with its pyramidal shaped brazier. 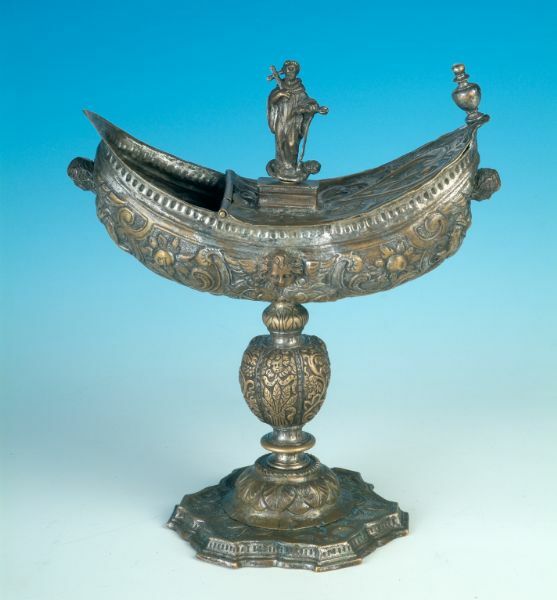 Very different in style is another thurible paired with an incense boat, both in embossed brass and dated 1611, which offer a typical example of Mannerism ornamentation, with stylized foliage and fruit, cherub heads, dolphins and delicate columns. Among the chalices of various periods, two fine pieces stand out: a delicate Florentine chalice dated 1618 decorated with late Renaissance motifs (i.e. pods and series of overlapping circles) but mingled with 17th century shapes (such as the vase knot); the other beautiful piece is an embossed silver chalice attributable to a Florentine workshop of the Leopoldine era between the end of the 18th and the beginning of the 19th centuries. 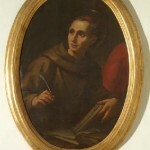 I santi del Chianti. Falassi A. (a cura di), Radda in Chianti – Firenze, Editore: Centro di Studi Storici Chiantigiani, 1985. 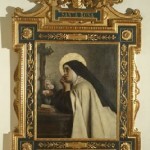 Il Museo d’arte sacra a Greve in Chianti. Proto Pisani R. C., Firenze, Editore: Becocci/Scala, pagine: 64, 2002. I maestri della Val di Greve. Bencistà A., Firenze, Editore: non disponibile, 1991. Size: 101 cm. x 63 cm. This is the oldest painting in the museum. 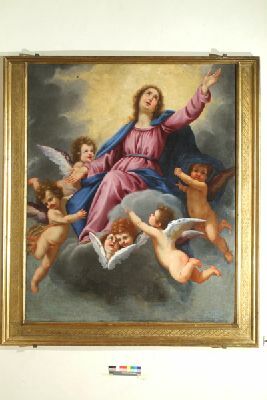 Its provenance from the Church of Santa Croce in Greve is confirmed by a 1789 description where it is cited as being on the altar of Our Lady of the Annunciation. 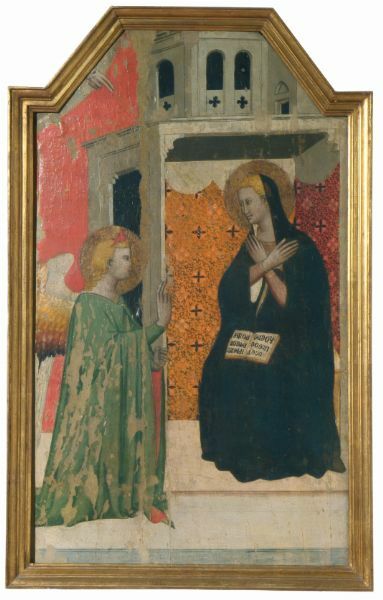 The Annunciation is represented here according to traditional canons, with the scene enriched by elegant descriptive details in the depiction of the figures and the architectural structures. Size: 65 cm. x 45 cm. x 10 cm. The work has lost almost all of its original polychrome. Even though influenced by the innovations of the early Renaissance, it is still tied to Ghiberti’s late Gothic style. The prototype is in fact polychrome stucco by Ghiberti in the Bargello Museum. Size: 54 cm. x 19 cm. This partly damage, statuette is actually a reliquary, as seen by the opening in the lower part that was used to display the relics. It is a good quality artisanal product that refers to a late mannerist prototype updated with the formal innovations of the Baroque. Size: 230 cm. x 174 cm. 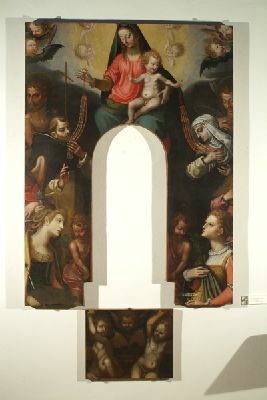 Large late-mannerist painting which was cut at the top and base. The fragment depicting the angels was cut out and is displayed to the side. It also bears the painter’s signature and the date. Size: 119 cm. x 70 cm. 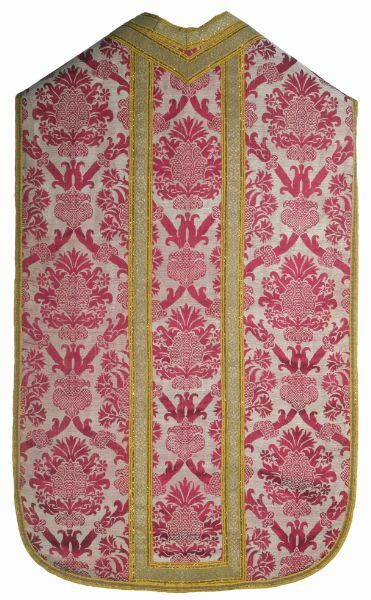 Brocatelle chasuble in crimson red on a white background, with a motif of ogival patterns that enclose two types of thistle flowers. This motif follows the Spanish models that were common after Eleanor of Toledo’s arrival in Florence, and was used until the beginning of the 17th century. Size: 84 cm. x 41 cm. The bas-relief has a mysterious origin. We do not know if it was originally part of a funeral monument or of a more elaborate altar. 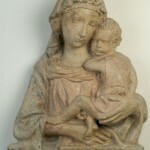 The pose of the figure of the saint is still late Gothic, but the movement of the hood and the suppleness of the modeled figure already place the sculpture in the 15th century. Size: 179 cm. x 110 cm. 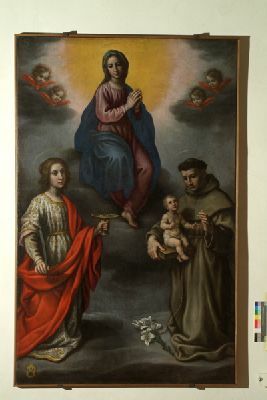 This painting shows an unusual iconographic variation: Jesus in Saint Anthony the Abbot’s arms instead of the Madonna’s. In the lower part to the left is the Anichini family coat-of-arms. Size: 230 cm. x 190 cm. Partly glazed, polychrome terracotta with a group of mourners in a curved arch in the Della Robbia mold, decorated with fruit and flower festoons topped by a cherub. Size: 45 cm. x 25.5 cm. A rare example of a cross-shaped reliquary in rock crystal, a material used in Venice beginning in the 14th century. It contained relics of wood from the Cross and of Saint Stephen, which helps to identify the cross as being located originally in the church dedicated to this saint in the medieval village of Montefioralle. Size: 80 cm. x 142 cm. 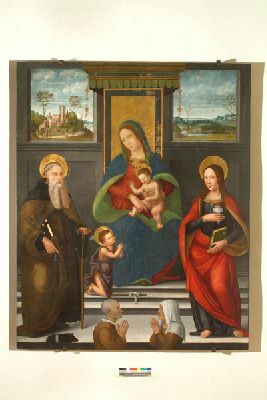 Panel painting with a Madonna enthroned and saints. In the foreground are the two kneeling clients, with two striking views of the landscape in the background. To the left is the castle of Sezzate as it must have been in the early 16th century before the alterations carried out in the 17th and 18th centuries. To the right, there is a landscape crossed by a river, possibly, the Sezzate stream. Size: 19 cm. x 7.5 cm. 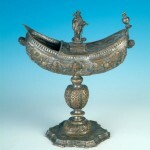 This incense boat coupled with the thurible of Saint John Gualbert has a multifoil foot decorated with spirals and a vase node divided into six parts with alternating grape racemes and sheaves of wheat ears. Size: 123 cm. x 73 cm. 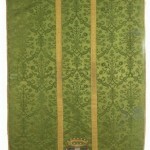 Chasuble in green damask displaying a lattice of irregular ogival patterns formed by botanical shoots. The armorial bearings in the lower part belong to the Bardi family of Vernio and are quartered with the Strozzi arms, a clear reference to the 1601 marriage between Carlo Bardi and Maria Maddalena Strozzi, who died in 1613. The chasuble was obviously carried out between these two dates. 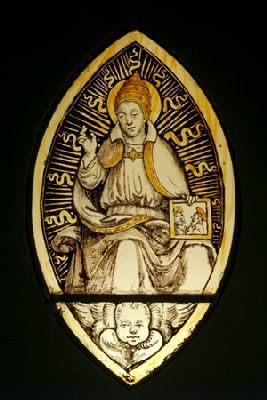 This small stained-glass pane with a metal frame was originally placed in the window behind the main altar of its church of provenance. 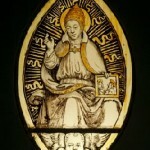 It represents the Pope inside a radial mandorla in the act of blessing. Size: 162 cm. x 176 cm. 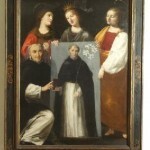 A good example of Florentine devotional painting from the early 17th century, this painting is especially similar in style to the signed and dated painting from the Fiesole abbey that depicts the image of Saint Dominic being carried to Soriano. Size: : 58 cm. x 40 cm. 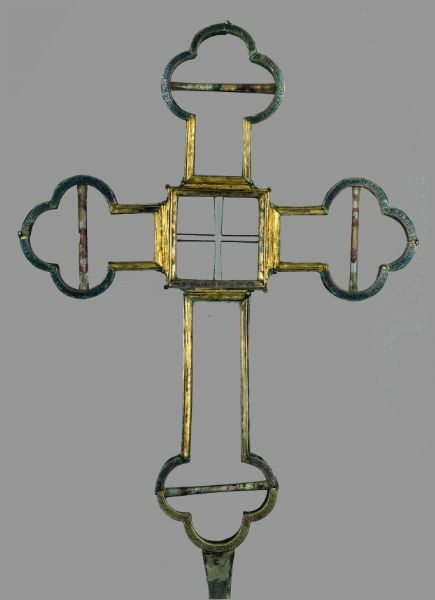 Processional cross with multifoil panels at the ends of the arms. Beginning from the top towards the right, inside each panel on a dark green background are a pelican that has torn its breast, Saint John the Evangelist, Saint Anne with the Madonna and Child, and the Magdalene. Size: with frame: 159 cm. x 120 cm. 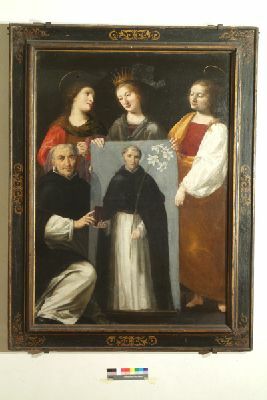 The painting’s iconography follows a tradition according to which the Virgin, with the two saints depicted here, appeared to a Dominican friar from Soriano in order to show him how the saint should be portrayed with a lily and holding a book with a red binding in his hands. Size: 152 cm. x 168 cm. 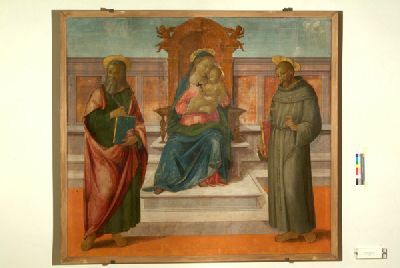 This panel has a solid architectural design and is considered the early work of a painter influenced first by Filippino Lippi and later by Ghirlandaio. Size: 11.8 cm. x 16.3 cm. The technical and stylistic characteristics of this valuable pax board suggest that it belongs to the Embriachi’s Florentine period. Unfortunately, the pax board is disfigured. Traditionally, the Virgin and Saint John are at the sides of the Cross (which was stolen some years ago). The frame is in ivory but the central ropelike motif is made of inlaid wood. Size: 98 cm. x 69 cm. Attributed to: Ottaviano Dandini (Florence ca. 1706 – 1740), the last representative of the prolific Dandini family of painters. Ottaviano was Piero’s son. 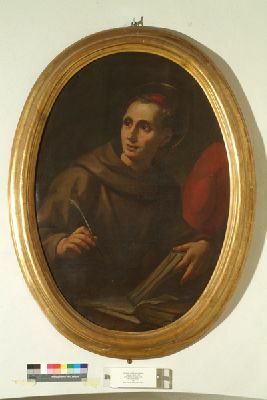 In the painting, the strong lateral illumination and the spontaneous act with which the saint breaks off writing, almost as if suddenly interrupted, stand out. Size: 97 cm. x 83 cm. ; with frame: cm 192 cm. x 137.5 cm. Gift of the painter as a contribution to the establishment of the former Rosa Libri hospital built by the noblewoman Rosa Libri Del Rosso. 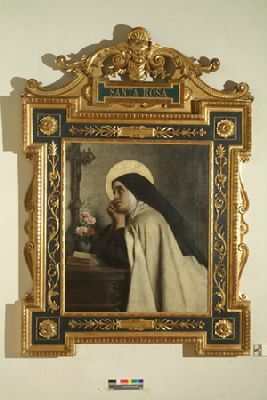 The saint can be identified as Saint Rose, as written on the pediment of the frame and as suggested by the Dominican habit and the roses as well as the benefactress’s name. Size: 30 cm. x 14 cm. 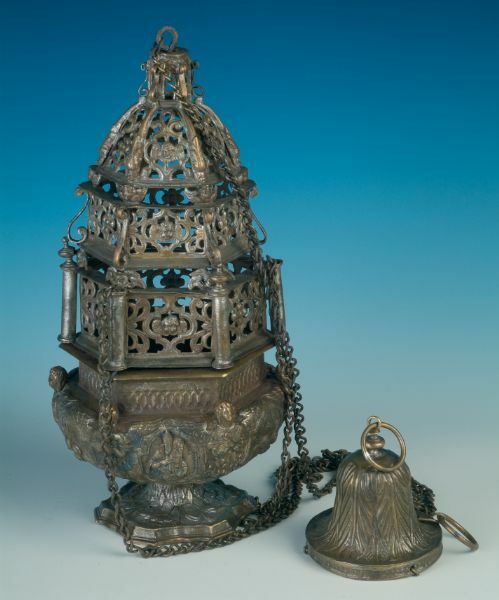 This thurible has an architectural structure with pinnacles; the cover and the cupola are decorated with botanical motifs, cherub’s heads, dolphins, and small columns. By car: Motorway A1, exit Firenze Sud and continue along the SS 222 Chiantigiana state road to reach Greve. By bus: from Florence via the suburban SITA buses. Saturdays-Sundays, 10 a.m.-1 p.m., 4 p.m.-7 p.m.
Sundays, 10 a.m.-1 p.m., 3 p.m.-6 p.m.